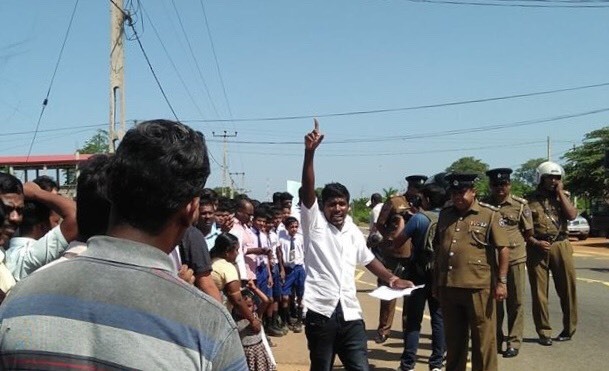 Tamils in Kanakarayankulam gathered to protest on Tuesday after two Tamil schoolchildren and their father, a former cadre in the LTTE, were left hospitalised following an attack on them by a Sri Lankan police officer. 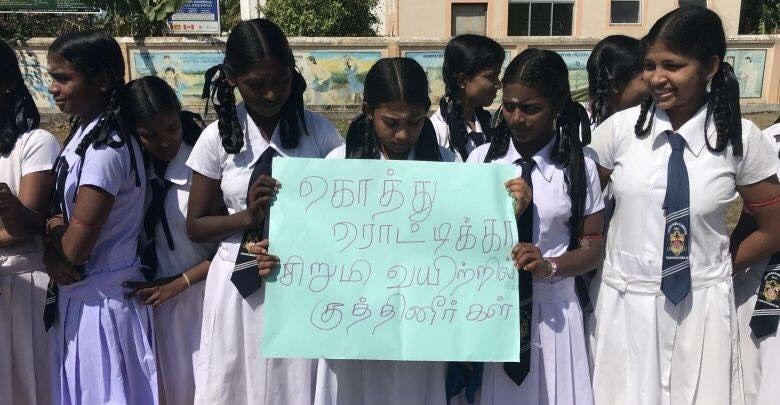 The protest, in front of Kanakarayankulam School, saw Tamil politicians, school children, civil society organisations and local residents gather to denounce the attack and call for the persons responsible to be apprehended. 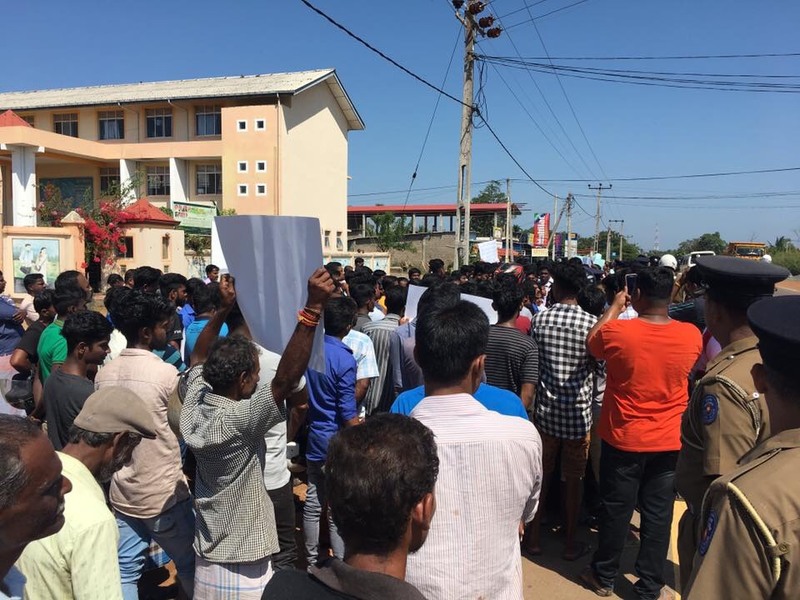 The attack, which took place on Sunday evening, left 16-year-old Kirupakaran and 14-year-old Sharmil and their father P Vasanthakumar hospitalised, after the Officer-in-Charge of the Kanakarayankulam Police assaulted all three of them. To date, no one has been charged over the attack.